Kamion reformed in 2017 and since then, they have begun to plough their way into the heavy metal world releasing their debut album ‘Gain’ last year. 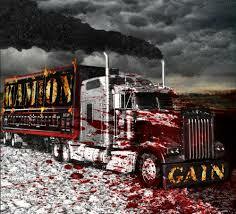 But, the question is, does ‘Gain’ give a perfect example of who Kamion are? The answer remains ambiguous, ‘Gain’ would be wholly appealing to fans of Metallica, Alter Bridge, Five Finger Death Punch and even Volbeat or Black Label Society, easily blending a wall of sound and raw power in with a foot stomping groove and meticulously crafted melodies. This gives ‘Gain’ a wonderful, modern sound, which is both meaty and accessible. Yet, whilst this sound may irk the stereotypical keyboard warrior metalhead, Kamion’s catchy songs are guaranteed to become stuck within the brain; tracks such as ‘The Reaper’, ‘Queen Of Hate’ and ‘Mr. Sucker’ really stand out as not only the best songs on the album, but also show who this band are with their tearing guitar riffs and venomous lyrical delivery. 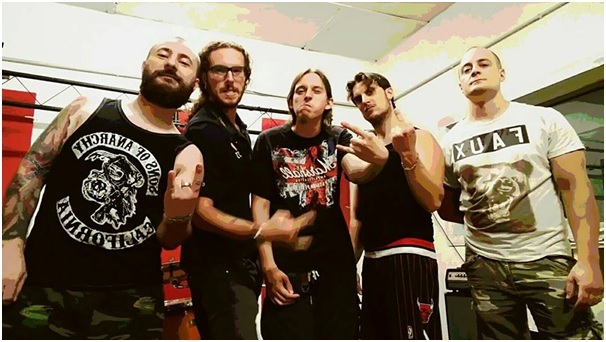 However, Kamion’s debut does show that a lot of work still needs to be done for these Italian metalheads; there isn’t enough hear to who the real Kamion are, but that isn’t a bad thing, ‘Gain’ provides some real structure and provides a fantastic platform for the band to build on for their future releases.